Salicylic acid is one of the most popular ingredients that is seen on the labels of many over-the-counter acne treatment products. Salicylic Acid is used to treat almost all kinds of acne, but it works best to treat comedonal acne, non-inflamed breakouts and blackheads. But do you know what salicylic acid actually is, and how it works? To help you we’ve researched and put together a useful user’s guide about salicylic acid acne treatment products. Read on for a quick basic coverage on all you need to know about salicylic acid. A close cousin to the more known alpha hydroxyl acid, it is beta hydroxy acid. It was originally derived from the bark of a willow tree (so, it’s mentioned as “willow bark extract” on the labels of certain products). However, most of the salicylic acid used today is synthesized. It is often sold with pads as applicators. It is also used to treat some other skin disorders such as dandruff, psoriasis, calluses, corns, warts, and more. You can find it in a number of over-the-counter acne products, including cleansers, lotions, treatments, pads and more. How Salicylic Acid Treats Acne? Acne occurs when skin cells inside hair follicles shed too fast and cluster together, blocking follicle and thus producing a pimple. Salicylic acid acts as an exfoliant, helping your skin to get rid of dead skin cells more effectively. It is particularly useful in treating acne due to its capability to penetrate the follicle. It promotes sloughing of dead skin cells from within the follicle, helping to maintain the pores clear. And maintaining the pores clear is the key in keeping all types of blemishes under control. Salicylic acid also helps break down blackheads and whiteheads. Its other benefits are that it helps to reduce oil and inflammation. Is Salicylic Acid FDA Approved? Whereas glycolic acid is an alpha hydroxy acid contained in various anti-aging skin care treatments, salicylic acid is a beta hydroxy acid. Both work to boost the sloughing of dead skin cells and the cleaning of pores, but of the two, only salicylic acid is acknowledged by the FDA as an acne-treating ingredient. You can find salicylic acid in various over-the-counter acne treatments, from cleansers to toners, medicated pads and creams. Over-the-counter (OTC) salicylic acid products are available in strengths varying from 0.5% to 2%. OTC salicylic acid performs best for mild to moderate acne breakouts and blackheads. It really won’t have significant effect on more severe types of acne; for which you’ll require a prescription treatment. Salicylic acid is also used in the form of chemical peels. Salicylic acid peels are stronger than OTC products, in strength ranging from 20% up to 30%. These peels exfoliate more deeply than over-the-counter salicylic acid products, thus they can help treat moderate to severe cases of acne. They’re normally safe for all skin kinds, even medium to dark complexions, as salicylic acid peels won’t cause hyperpigmentation. But consult your dermatologist before you use them. Your dermatologist can decide whether these peels are the best course of treatment for your acne and how many peels you will have to use? 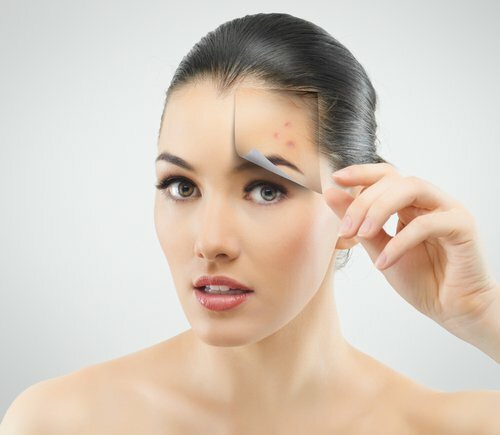 As salicylic acid peels typically aren’t used as the sole acne treatment, your dermatologist will also decide whether any other acne medication is needed to be used along with these peels. Generally, people can use salicylic acid without any major problem. But some people may have some side effects while using salicylic acid. The most common are dryness, peeling, and flaking, which can usually be managed by using an oil-free moisturizer every day. At times, salicylic acid can also cause stinging, burning sensation, and skin irritation. If you experience mild irritation as a result of salicylic acid, try reducing the frequency with which you use it. You should speak to your doctor if the side effects are more troublesome or discontinue its use. In case you are not sure whether salicylic acid is the right acne treatment for you, consult your dermatologist. (i) Like so many other skin care remedies, it’s not a one-and-done situation. To maintain your skin pores clean after your blemishes and acne have been treated, it’s best to use salicylic acid on a continual basis. (ii) Best is to pair its use with a hydrating product because salicylic acid can have a mild drying effect on the skin. If your skin gets somewhat dry and scaly after using any salicylic acid product treatment, follow up with an oil-free moisturizer.